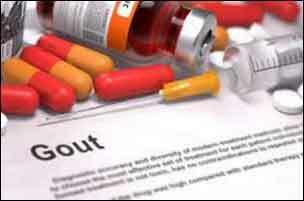 U.S. Food and Drug Administration (FDA) approved DUZALLO(lesinurad and allopurinol) as a once-daily oral treatment for hyperuricemia associated with gout in patients who have not achieved target serum uric acid (sUA) levels with a medically appropriate daily dose of allopurinol alone. DUZALLO is not recommended for the treatment of asymptomatic hyperuricemia. DUZALLO is the first drug that combines the current standard of care for the treatment of hyperuricemia associated with gout, allopurinol, with the most recent FDA-approved treatment for this condition, lesinurad. This fixed-dose combination provides a dual mechanism of action in a single tablet that can address both underlying causes of hyperuricemia – overproduction and underexcretion of serum uric acid. An AstraZeneca subsidiary, Ardea Biosciences, submitted the Duzallo New Drug Application (NDA) to the FDA..The FDA approval of DUZALLO was based on the clinical program supporting the ZURAMPIC® (lesinurad) new drug application (NDA) and a pharmacokinetic study that evaluated the bioequivalence of the fixed-dose combination of lesinurad and allopurinol compared to co-administration of separate lesinurad and allopurinol tablets. The efficacy and safety of lesinurad plus allopurinol were demonstrated in two pivotal Phase III clinical trials, CLEAR 1 (n=402) and CLEAR 2 (n=410), which supported the ZURAMPIC NDA. In clinical trials of adult patients with gout who failed to achieve target sUA levels on allopurinol alone, lesinurad in combination with allopurinol nearly doubled the number of patients who achieved sUA target of <6 mg/dL at month 6, reduced the mean sUA level to <6 mg/dL by month 1 and maintained that level through month 12. The most common adverse reactions in clinical trials were headache, influenza, higher levels of blood creatinine (a measure of kidney function), and heartburn (acid reflux). DUZALLO has a boxed warning regarding the risk of acute renal failure. Ironwood expects DUZALLO to be commercially available early in the fourth quarter of 2017.